This entry was posted in History and tagged Queen Anne, Queen Anne's War. Bookmark the permalink. 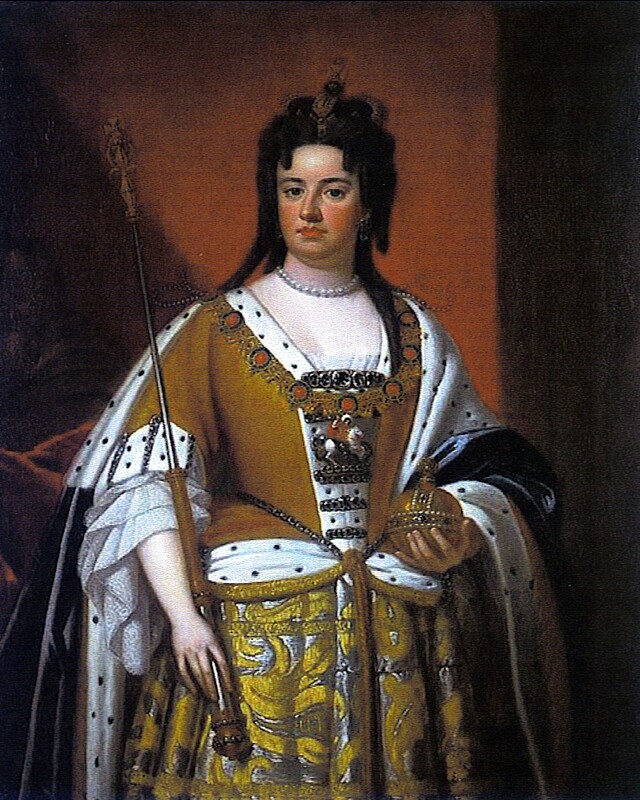 You pointed out that Queen Anne is one of the rare monarchs in history who has a war named for her. I was going to correct you by pointing out that I always referred to the Iraq war as Bush’s War, but then I remembered that he was only a monarch in his own mind. Because warfare is going on almost constantly, historians have come up with some creative names for wars. There was the War of the Eight Saints (1375), and the Hunger War (1414) — not to be confused with the war on hunger. The only war I found that was named for a specific body part is the War of Jenkins’ Ear (1739). We either need more creative names like these, or fewer wars. Preferably the latter. And all of this time I assumed that Founding Father Alexander Hamilton was Caribbean courtesy of his birth in Nevis-St. Kitts, but it stands to possible reason that his parents were in fact considered American at the time, a la John McCain. Pretty interesting all around … thanks so much! You’re right, Hamilton was born on the Caribbean island of Nevis in 1755. His father was of Scottish descent, and his mother was the daughter of a Frenchman. She conceived Alexander while married to a Danish merchant (not Mr. Hamilton). When it came to claiming a heritage, I guess Alexander had a lot of options.